This Gruner Veltliner white wine from Austria has an attractive varietal nose with citrus minerality and richness. With only eight hectares in production, Gunther Brandl is among the very smallest producers in the area, and he likes it that way. Having gained international experience, most notably in South Africa, he uses this to innovate carefully and evolve towards more precise, purer aromas. The vineyards of Heiligenstein and Kogelberg are two of the most important sites, not only in Kamptal but in all of Austria. The rich mineral deposits and prehistoric shellfish-infused soils create a multitude of aromas. Tones of sea-coast minerality and profound complexities of flavour abound in the wines created here. Gunther Brandl is very passionate about his terroir, the vineyards and the wines he crafts. His family’s commitment to keep prices fair while maintaining a high level of quality has led him to be recognized as one of Austria’s premier producers. Keeping his production small allows meticulous attention to detail, and this is reflected in the quality of his wines. "At just 11% ABV this should help your diet (marginally!). Light, fresh classic Gruner Veltliner with salt and pepper aromas, a sweet apple centre and a salty lingering fresh finish. Gruner is a great food wine and works well with fish, pasta and pork dishes." "Attractive, uncomlicated and user-friendly wine, with ripe, dense apricot, peach and orange fruit. Excellent value for money." "Attractive ripe fruit - melon, red apple on nose, apricot; peach on palate. Really moreish. Sort of how you wished unoaked Chardonnay would taste." "With only eight hectares in production, Günther Brandl is among the very smallest producers in the area and he likes it that way. Brandl uses international experience, notably in South Africa, to innovate carefully and evolve his style toward more precise, purer aromas. The result is an exceptional series of wines." 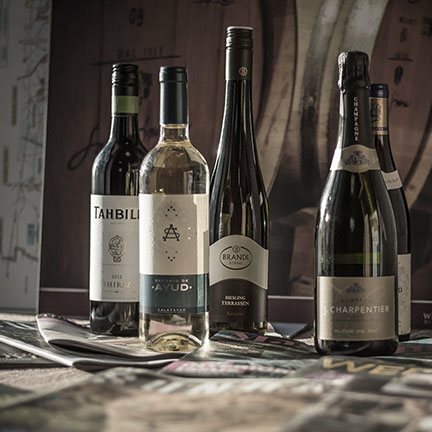 The vineyards are located in Zöbing, a quaint village situated on the river Kamp, right where it leaves Waldviertels narrow and flows down south. At night winds from the north cool down the vineyards and during the day rays of sun warm up the slopes and terraces. These climate conditions, as well as the soothing calm of the Kamp river, produce a distinct fruity flavour in the wines. Grüner Veltliner and Riesling, their specialities, thrive in this area. You're reviewing:Brandl Zobing Gruner Veltliner.